Please review the following FAQs before submitting a support email. The facility to do this is found at the bottom of this page. Will it hurt? I currently suffer from discomfort when using compression aids. If used correctly the EZ-ON should cause little or no friction. The stocking is held away from the skin until it is in the optimum position. Strains from leaning forwards are minimised and hand strength shouldn’t be a problem. How long does it take to put on a stocking? After extensive testing we found that, initially, on average it takes 3-4 minutes, After a week or so using the device it commonly took 2-3 minutes..
Is this device hard to use? 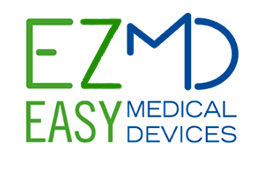 The Easy Medical Device team take pride in creating devices that are easy to use. The EZ-ON device is currently being successfully used by someone who only has one arm. We pride ourselves on the quality of our products. All of our devices are hand built in The Netherlands to the highest quality control standards. Each device is individually tested before dispatch to the customer and a 2 year back to base warranty is provided on all products as standard. We want everyone who needs them to have access to our products. We try to make this affordable for all but won’t compromise on quality.